For its December meeting, the CCR Book Club is reading "The Eight Mountains" by Paolo Cognetti ("Le otto montagne" is the original title). 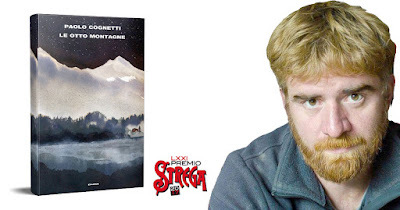 It won the Premio Strega in 2017 and is set in the mountains of Val d’Aosta. The Guardian review calls it "a story of relationships – not just between people, but with the mountains around the village of Grana." This month the group's traditional festive potluck will take place at lunchtime. Potluck: Please RSVP letting Luigi know what food you will be preparing for 6 people.